Your home is your “Safe Haven” it is a living being. Do you love your home? Are you content with the feel of your home? Are you “Stuck” and not sure how to move forward? Is your career stagnant? Do you wish for more fulfilling relationships, romantically or family? Feng Shui home consultation will focus on your priorities and concerns and can positively change your life and environment, rest assured anything discussed is treated with the highest confidentiality. Selling your home? Want to assist in selling promptly and assertively? Space clearing is a subtle but effective way of clearing any unwanted residue, also a way to have closure with that particular environment, enticing potential buyers to make a commitment so you can relocate on your new venture. Have you walked into a space and walked straight back out again? Do some spaces in your home not feel “quite right” but you have no explanation as to why? Do you often get sick but don’t recover? Are there certain areas in your garden where plants don’t grow or hedges have specific gaps? Could it be your home making you sick? Geopathic Stress is the term used for a variety of energies exhaling from mother earth, which may cause discomfort or ill health to humans, animals and plants. It arises when the earth’s magnetic field becomes distorted, due to a disturbance in the earth structure. I use Dowsing rods to identify any Geopathic stress lines and to highlight them for your attention. Solutions may involve the moving of your bed or of other furniture. Whether you own your business, you work from home or for an employer in a large corporation or teach in a classroom, a Feng Shui consultation can transform your business potential, ensuring staff energies are harmonised, productivity increases and profits grow. A thorough investigation is conducted with your prior concerns, which is evaluated using external and internal influences and if required remedies and solutions will be suggested. Prior to signing on the dotted line, a pre-purchase consultation can be a peace of mind solution. It is normally the biggest investment of one’s life. It will include the positives and negatives of the property looking at the block shape, the surrounding environments, location and the entrance, offering tips for a healthy home should you wish to continue with the offer. It’s said to be the most stressful time in one’s life moving! 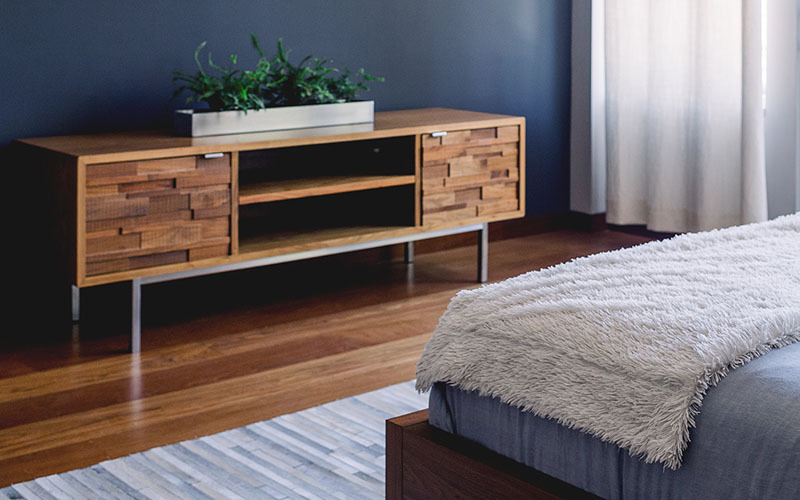 A Feng Shui consult of your new home and environment can assist by conducting and preparing a plan of furniture placement, allocation of rooms including bedroom furniture placement, best directions to encourage better sleep and colours to connect you harmoniously and effectively with you and your new environment. With any Home or business consultation I will provide you with your Best and Worse directions. This is a tool for you yourself to utilise in any and every situation. Which is the best direction for you to sit at a desk, negotiating a deal, ensure prosperity and respect in your workplace, sleeping, etc. I also offer a Solar Chinese Astrology Report. This is an symbolic report of your past, present and future challenges and favourable times in your life. By using the one-thousand-year calendar, I can also determine your “element” whether it be Wood, Fire, Earth, Metal or Water. By understanding your Element, you can bring in certain colours that will enhance your own environment whilst creating support for you, understand the dietary requirements for that element to ensure a healthier lifestyle. So off I went and booked the consultation. The information you offered was very interesting and even after your initial visit, even before you came back with your results shifts had already started to take place. I suddenly got an influx of more clients which meant more money for us. I was surprised that instead of having to take anything away I have really only had to add things to my home. By this I mean putting some simple cures in place. I feel the house is balanced now, it always had a nice feeling to me but it now feels strengthened and supportive, especially with the cures that are now in place as I said before. Things I have noticed that have changed. Relationships : With my husband I feel better connected/working from the same page and more compassionate. With my children I feel there is more communication, more compromise and our relationship’s seems lighter and more fun. The family on a whole seems to have taken a more relaxed approach to one another and we are spending much more quality time together!! Business: My business definitely increased in productivity. We were looking at changing some areas in my husband’s business and this has now happened. We have actually got start dates and training for these new roles in place ready to go. The process with Sara definitely got the energy in our home moving in the right direction for us from family, relationships and business!!! I met Sara by chance at a function and felt instantly at ease and attracted to her positive energy. Before long we got on to talking about my home and we both realized why we had met. I needed her help. My family built our home about 10 years ago, but we had never really felt as though we belonged there. It just didn’t feel like it was our space, it felt as though it belonged to someone else. After consultation Sara worked me through a Sacred Space Clearing. Whilst initially quite emotionally confronting, the physical and emotional changes to the way we feel in our home have been very significant. I continue to feel healthier, clearer, more focused and more at peace within myself and also with my family. Following the clearing Sara provided me with Feng Shui flying stars for our home, incorporating simple ideas for specific zones within our home. These ideas have helped to create a more family orientated home with a harmonious flow of vibrant energy. It is a work in progress and I look forward to sharing the results with Sara in the very near future. The education Sara has bestowed me has given me renewed energy and has returned my passion for creating a loving, energetic harmonious home. Something I had sadly lost somewhere on my life journey. Thank you Sara. We definitely met for a reason and I truly feel we have created a peaceful, sacred and self-honouring home for my family. The benefits to my personal vibrancy and overall wellbeing have made me realize the importance of regular space clearing and continuing on this path you introduced me to. “My motto is ‘let’s get more out of life’ and, having heard positive things about Feng Shui, I thought any ideas on how to make our home an even better place for health, relationships and business would be a great start to the new year. This is where Sara came in – her wonderful enthusiasm for her work heightened my interest in having our house undergo Feng Shui and Geomancy. As an experience, she was very thorough, pragmatic and patient. Using a fine balance of explanation yet not too much detail, room by room, she gave practical tips on how we could transform our house into a better environment. For example, by simply moving furniture, clearing spaces and adding plants strategically, our home feels a much better place to live. Sara came to my house to check for Geoopathic Stress and Ley Lines that may be affecting our health. My husband sometimes suffers with insomnia and my youngest son too. Sara spent a long time working out and mapping potential issues throughout the house and then proceeded to implement remedies to alleviate the issues. It was amazing. Where my husband sleeps was where two lines converged, we also have our electric meter on the back of our wall where we sleep which is also potentially bad. My youngest son also had two lines running straight through his room, and more importantly his bed! I feel happier knowing that my house is now harmonized and that we can expect not to be affected by these unseen but potentially health threatening issues. Sara is professional, courteous, knowledgeable and adept at dealing with these issues and I felt completely assured that she has provided the best solution to harmonize our home, help us sleep better and feel at peace in our home.